Wow! 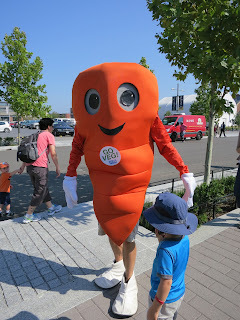 -- that pretty much sums up my experience at the 4th Annual DC VegFest. As a festival still in its infancy, I was incredibly impressed at how well organized it was and how many people attended. When I arrived at 10:45 a.m., there was already a line of hundreds of people waiting to get in because the first few hundred people would receive a swag bag filled with goodies! The weather was beautiful and the vibe was great. There were lots of great speakers including Wendy Rieger from NBC4, Dr. Michael Greger from The Humane Society of the US, and Doron Petersan from Sticky Fingers Sweet & Eats. 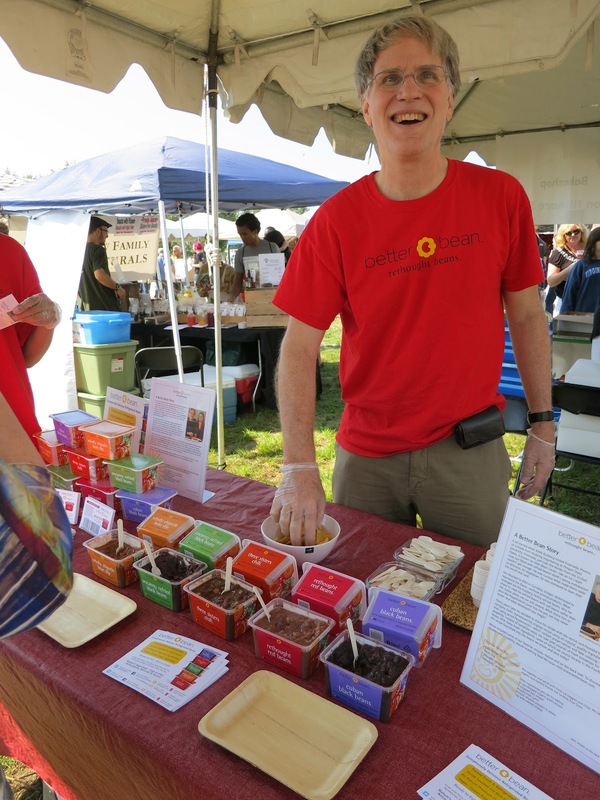 Throughout the festival, there were tons of food samples from companies like The Better Bean Co., Soyummi, Cloud 9 Raw Chocolate, Daiya, Gardein, Earth Balance, Gouter, Upton's Naturals, Way Better Snacks, and Mary's Gone Crackers. There were also food vendors like Bread & Brew, Everlasting Life Cafe, Sweet & Natural, and Vegan Treats, to name a few. I thought I had died and gone to heaven when I saw the selection of cakes and donuts at Vegan Treats. I had a pumpkin donut filled with pumpkin mousse and a chocolate lava cake that is one of the best chocolate cakes I've ever had in my life. Unbelievable. Other retailers like Herbivore and Pangea were selling their wares. Non-profits like Vegetarian Society of DC, The Kindness Collective, Compassion Over Killing, PETA, Vegetarian Resource Group, and Vegan Outreach were there to educate the masses. It was such a good time! This festival was a great success and I am already looking forward to next year! Special thanks to COK and VSDC for doing such a great job organizing the event. I'll see you all again next year!